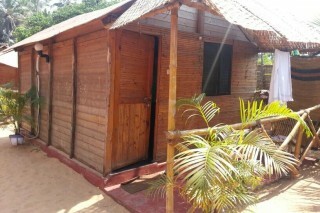 With the lively Calangute beach located a quick walk away, this rustic hut is a convenient and functional accommodation that is ideal for beach bums. 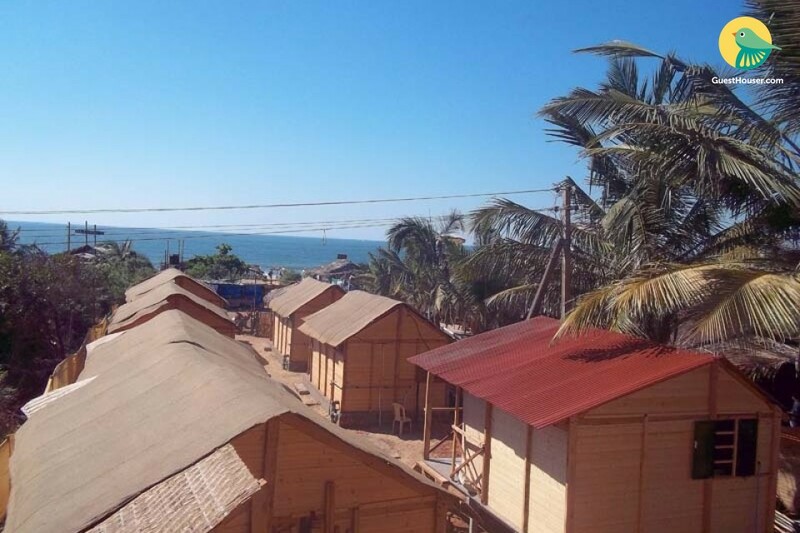 Built like a beach cabin with warm honey-toned wooden panels, the hut is well-equipped with an air-conditioned bedroom and an attached modern bathroom. Settled before a distant view of the endless Arabian Sea, you can get your dose of glorious beachside sunset views during your stay here! While there are ample beach shacks to eat out at, our sumptuous preparation of seafood will leave you wanting for more. 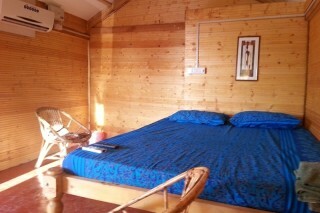 Accompanied with the sound of waves, spacious individual cottages are fitted with wooden flooring, a fan and a TV with cable channels. 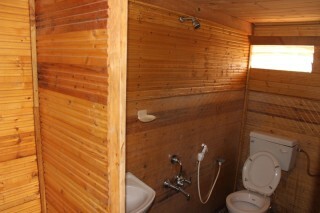 Each hutcomes with an attached bathroom offering hot and cold shower facilities. Guests are requested to provide valid identification at the time of check-in. Pets are not allowed on the premises. Places to visit - Calangute Beach - 1.6 km. Candolim Beach: - 3.5 km. The Church of Mae De Deus - 3.4 km. Fort Aguada - 5.8 km. 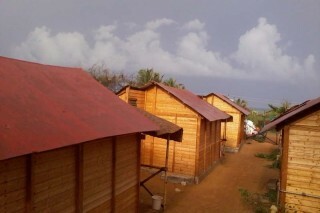 Anjuna Market - 8.1 km. Arambol Beach - 24.0 km. Mandrem Beach - 23.2 km. Viceroy's Arch - 22.3 km. Kegdole Beach - 7.7 km. The stay was really good in the cottage. Whatever was expected about the property, turned out to be the same. The place was neat and clean. It was worth spending for this cottage. The staff was very friendly and cooperative. 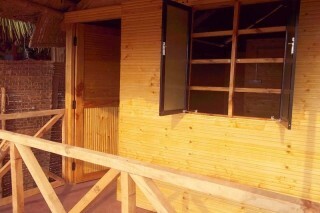 I enjoyed staying in this property as everything was easily accessible and all the necessary things were there. Goa International Airport - 37.9 km. Calangute Bus Stop - 1.6 km. Mapusa Bus Stand - 8.8 km.